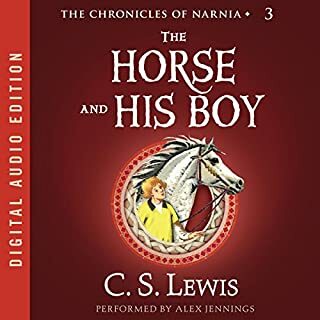 What other book might you compare The Horse and His Boy to and why? Would you be willing to try another one of Alex Jennings’s performances? Do you think The Horse and His Boy needs a follow-up book? Why or why not? I would like to see this done by another narrator. Would you try another book from C.S. Lewis and/or Geoffrey Howard? I am a life long C.S. Lewis fan. I have read everything he has written with a few exceptions. Geoffrey Howard's reading was adequate. Certianly not annoying but a less monotone voice would have been perferable. 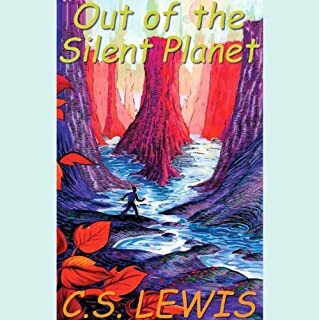 What other book might you compare Out of the Silent Planet to and why? There really are no comparisons to this book. An anti thesis to it would be HG Wells' "First Men in the Moon". Most people would say the HG Wells book is the better work, I would not be one of those. He did not detract but he was a bit monotone. I've had to endure much worse narrators than this one. It depends on who made it and what actors are in it. There are certain actors I cannot stomach no matter how good I think the movie may be. The last movie that was made from a C.S. Lewis book was the Voyage of the Dawn Treader. They gutted the Lewis story in that movie and it was really quite sad because it is the best of the Narnia stories. If this were done by a better Narrator, I would purchase it again. The main problem was the the chapter navigation in the book is all messed up and doesn't seem to work on my IPOD at all. You can play it from beginning to end but you cannot jumb from chapter to chapter.